Lucerne Station was named for the resemblance of the setting, on the north side of Yellowhead Lake, to Lucerne, Switzerland. It was built by the Canadian Northern Pacific Railway in 1913. The Grand Trunk Pacific Railway had laid its track south of the lake the year before, and also built a station. Lucerne was a divisional point on the Canadian Northern and provided the nucleus of a town. 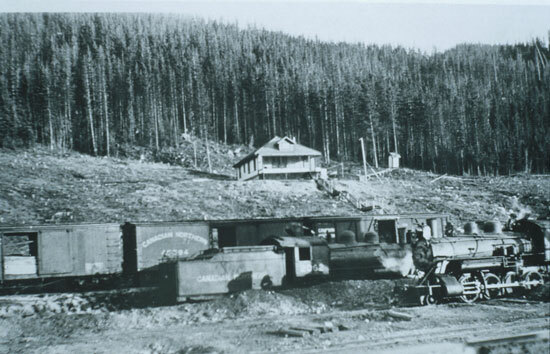 After the two railroads were nationalized in 1921, Jasper was chosen as the divisional point of the new Canadian National Railway. At the time both towns had populations approaching 300. 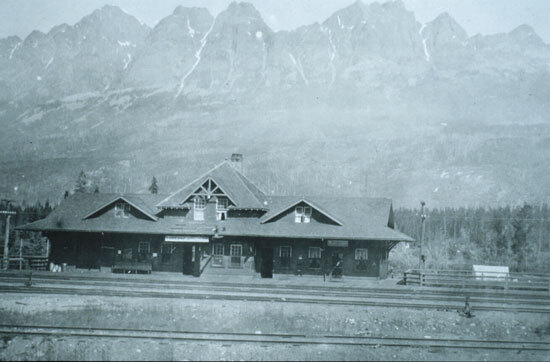 By the end of 1924 almost everyone had moved to Jasper, the rails of the yard had been taken up, and Lucerne became a whistle stop on the Canadian National line. The Lucerne railway station, as big as the Jasper station, was demolished after World War II. 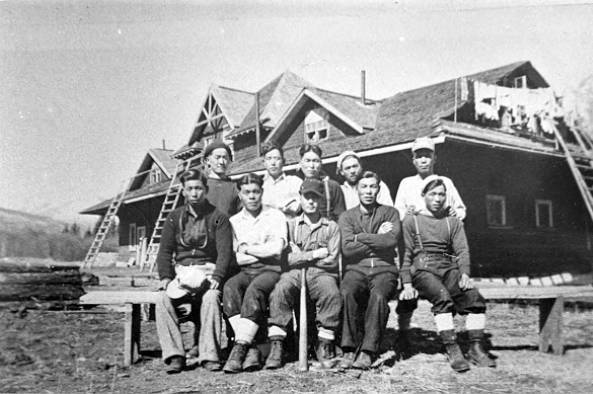 During the Second World War, about 100 Japanese nationals were interned at camps at Lucerne, Rainbow, Moose River, Fitzwilliam, and Red Pass. As forced labor, they cleared a new right-of-way on sections of the Yellowhead Highway. In different groups they cut the timber off much of the road toward Tête Jaune Cache and along the river toward McBride on the one hand and toward Blue River on the other. As a diversion from their other activities, they built a tea house in the Lucerne camp and for several years it remained as a curiosity shown off by the few local people. The Lucerne Station post office was open from 1914 to 1926; less than ten cancellation marks are known in collections. A post office was also open at Lucerne from 1942 to 1945; no cancellation marks between those dates are known to exist. Bradley, Ben. “Lucerne no longer has an excuse to exist. Mobility and landscape in the Yellowhead Pass.” BC Studies, no.189, Spring 2016. pp. 59–75. Notes from a slide show by the late Alexander Torrence Gray, locomotive foreman, Lucerne, BC. Valley Museum. You’ve got everything backwards. The Grand Trunk Pacific ran along the north side of the lake. The Canadian Northern ran along the siouth side. The station and facilities shown are all Canadian Northern. The CN station at Lucerne looked nothing like either of the two GTP stations at McBride. Does anyone know of a map of this rail yard of Canadian Northern? That foreman’s house was my great grandfather, Thomas Young. We hiked in once and found the brick foundation, stairs and outhouse! I may have something, my mother lived there as a child, before moved to Jasper. You should check with the museum in Valemont, they may refer you to a small one near Blue River. I was unable to visit either last time I was through the area with time to spare.